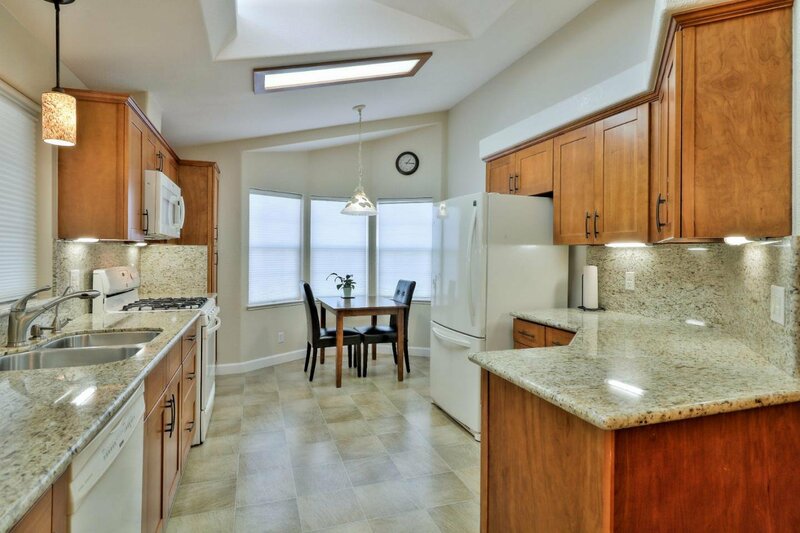 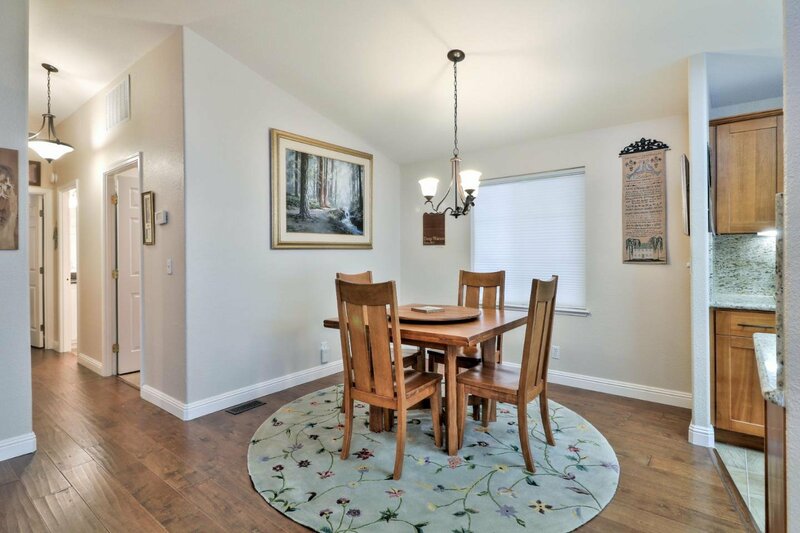 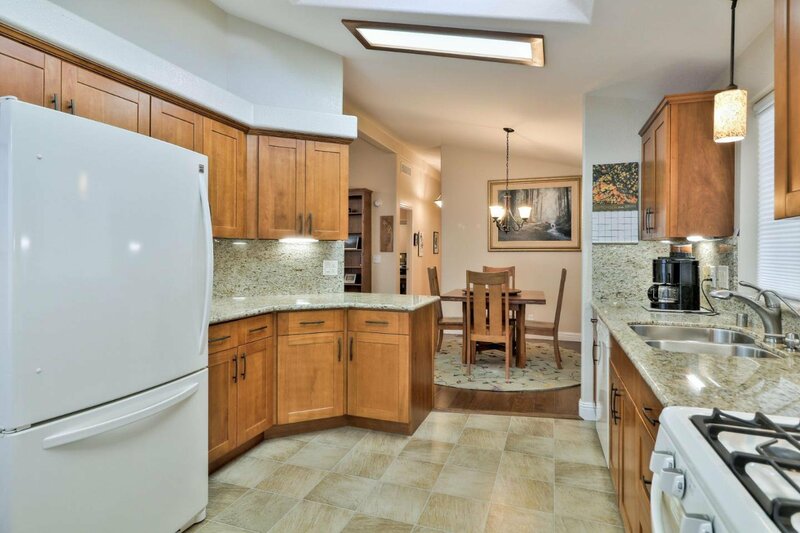 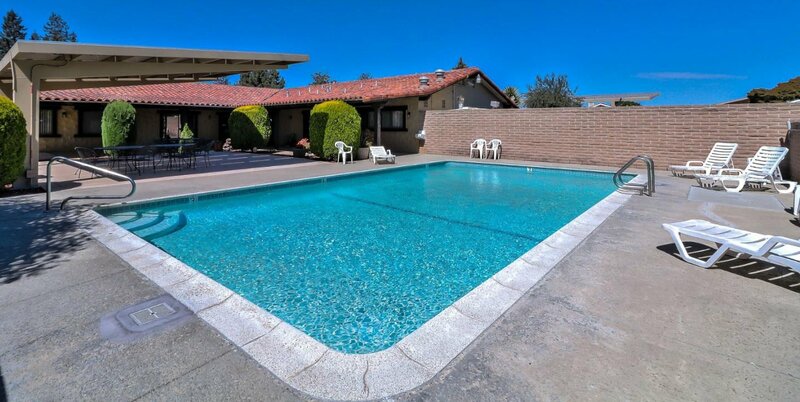 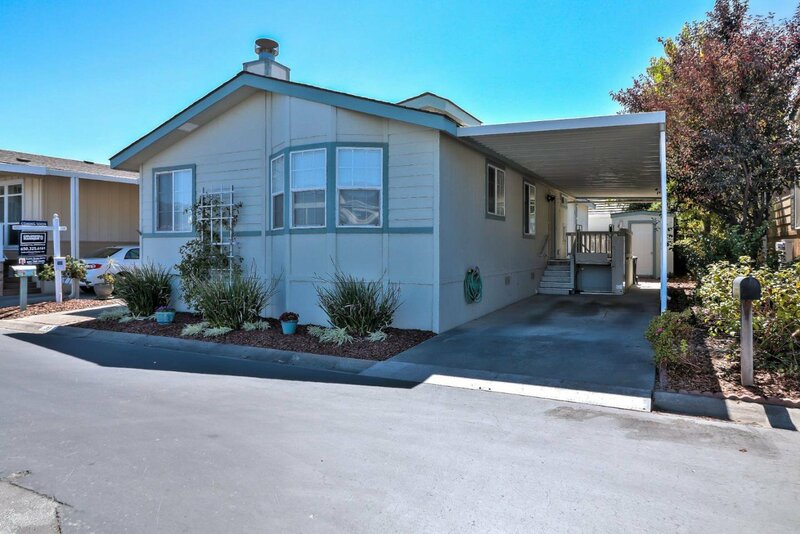 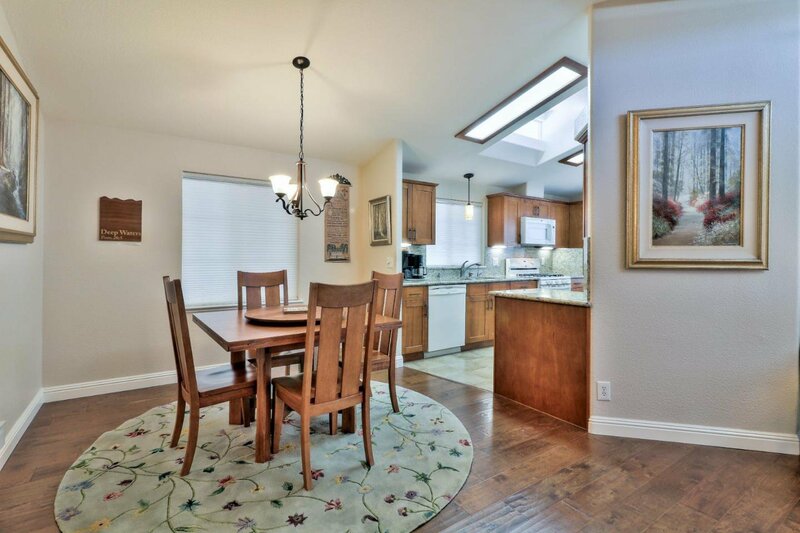 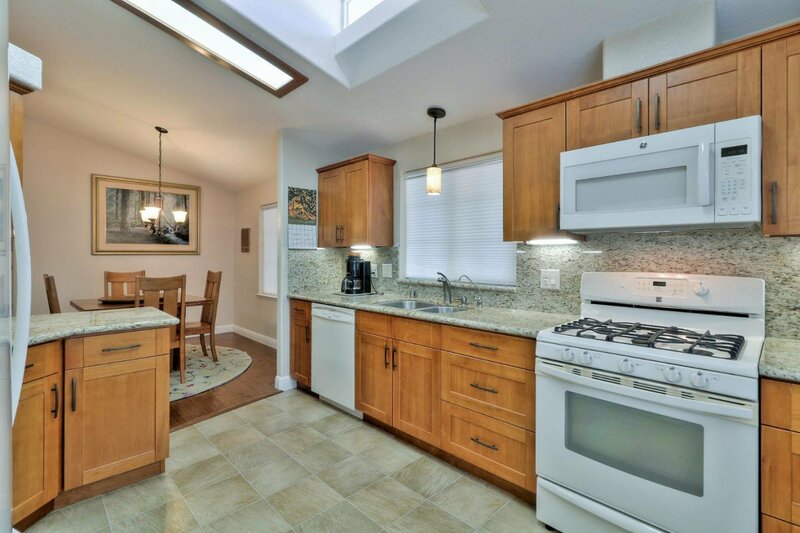 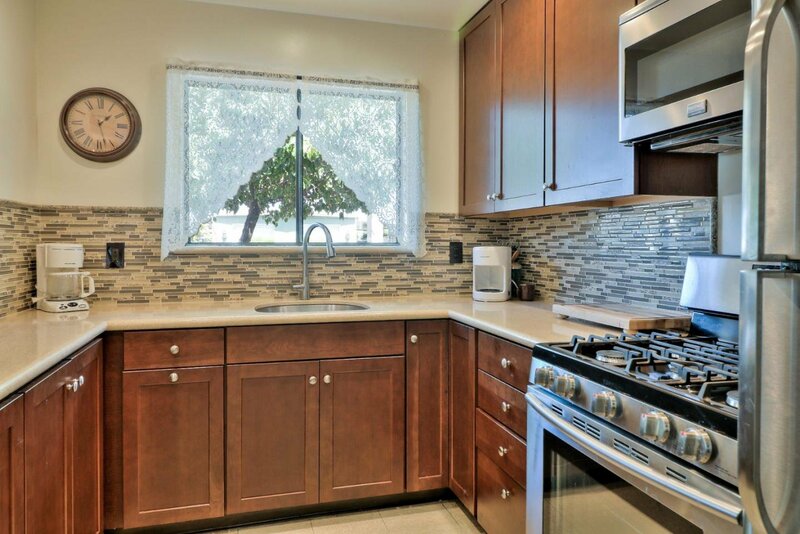 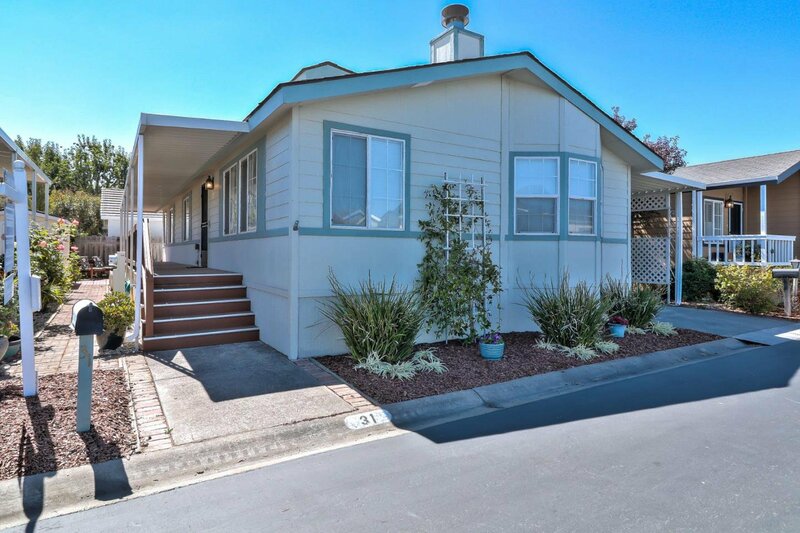 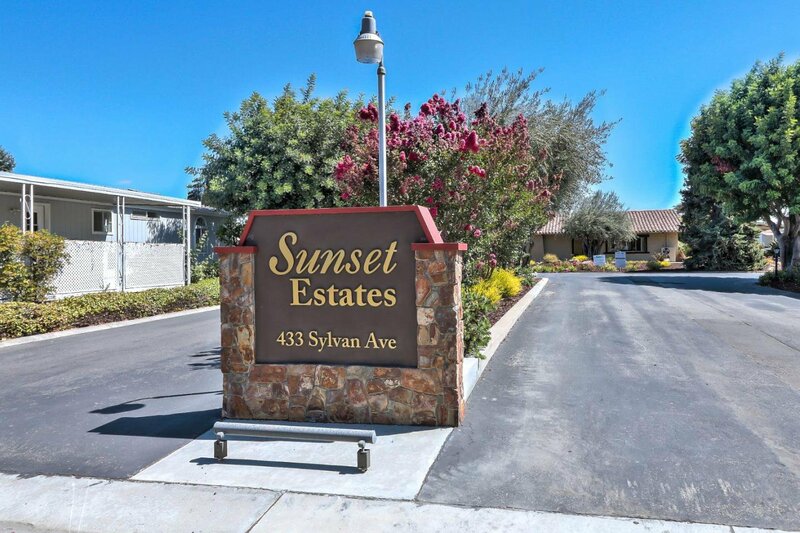 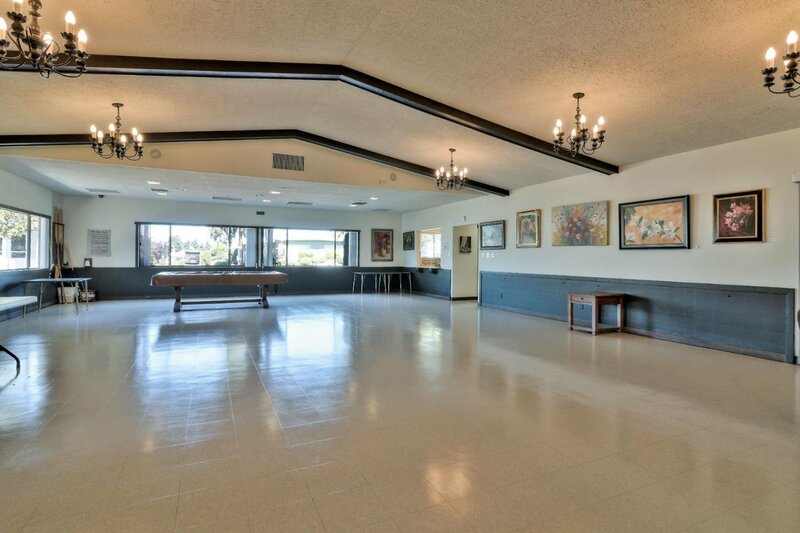 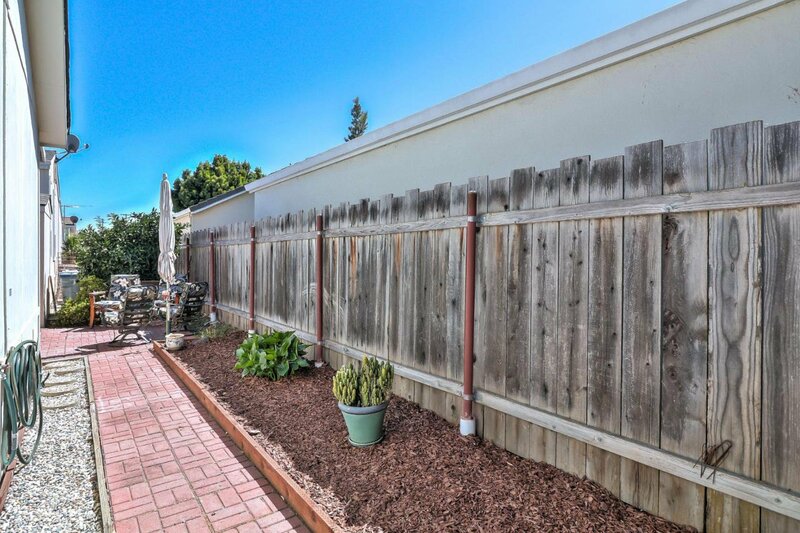 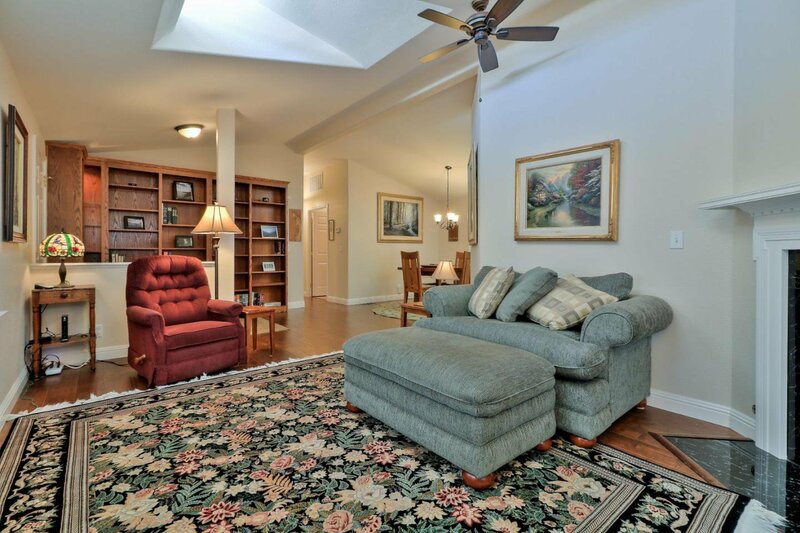 Fantastic home located in Sunset Estates, Mountain View's premier 55+ community. 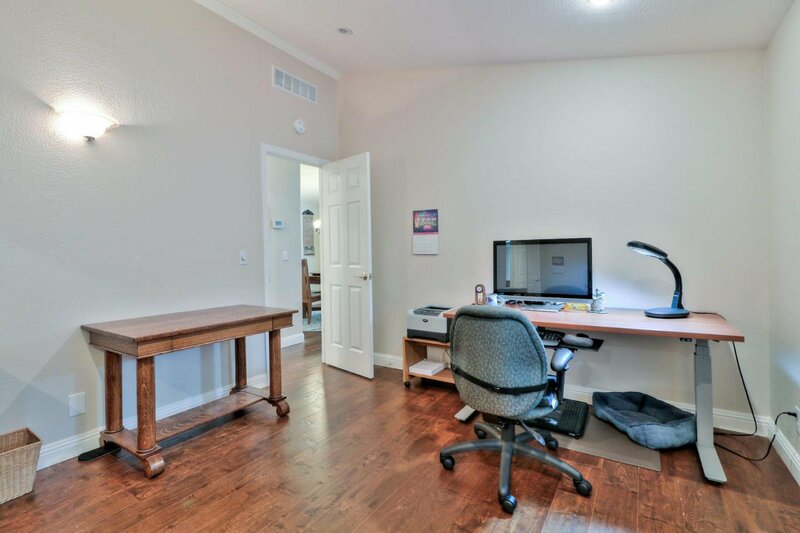 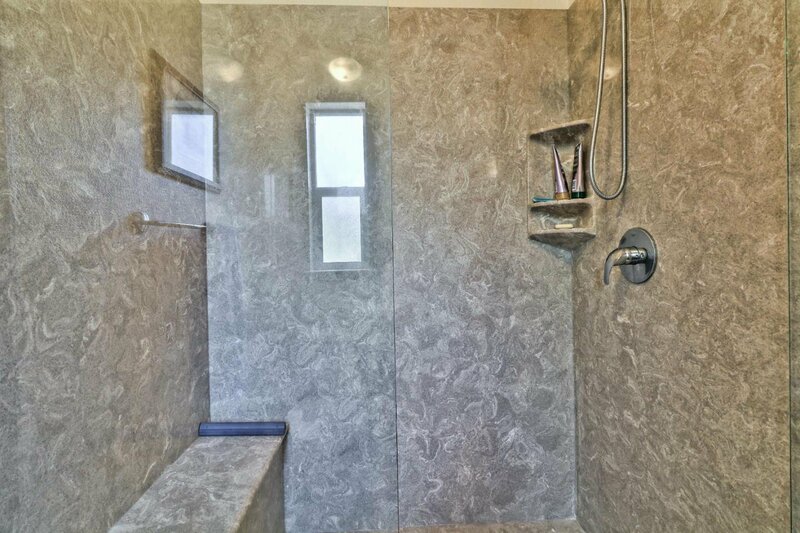 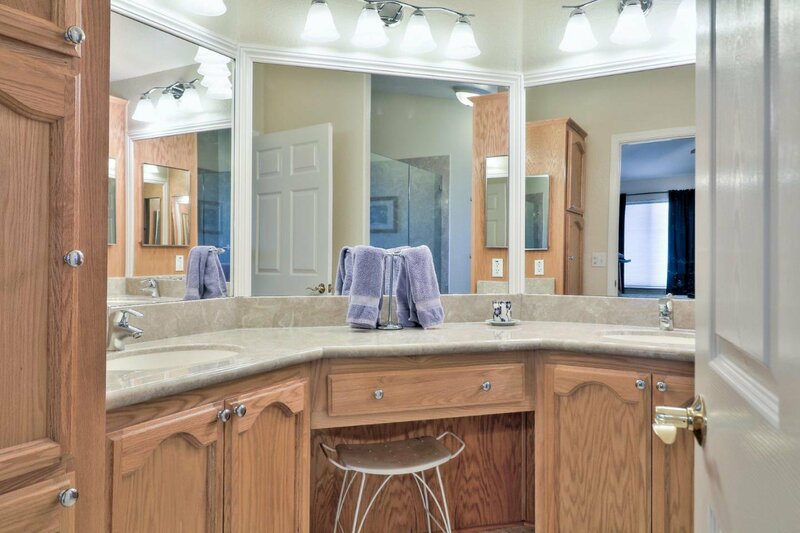 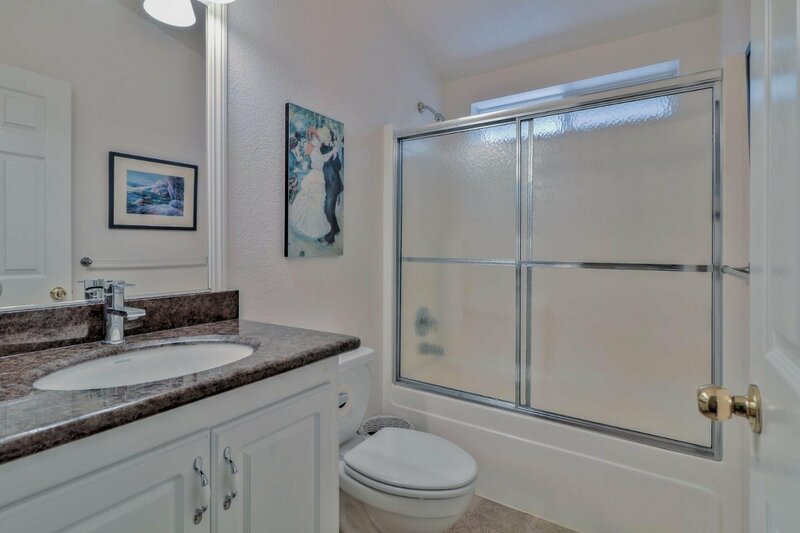 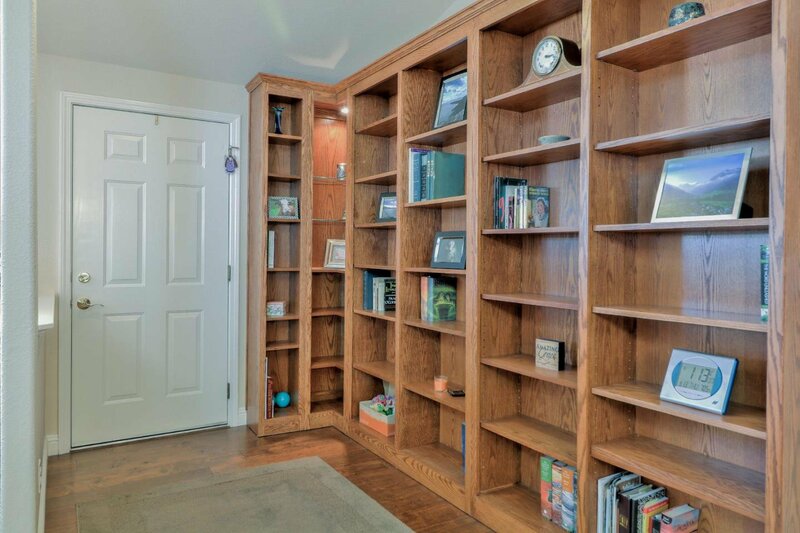 Updates include custom cabinets and bookshelves, granite countertops, renovated bathrooms and engineered hardwood floors. 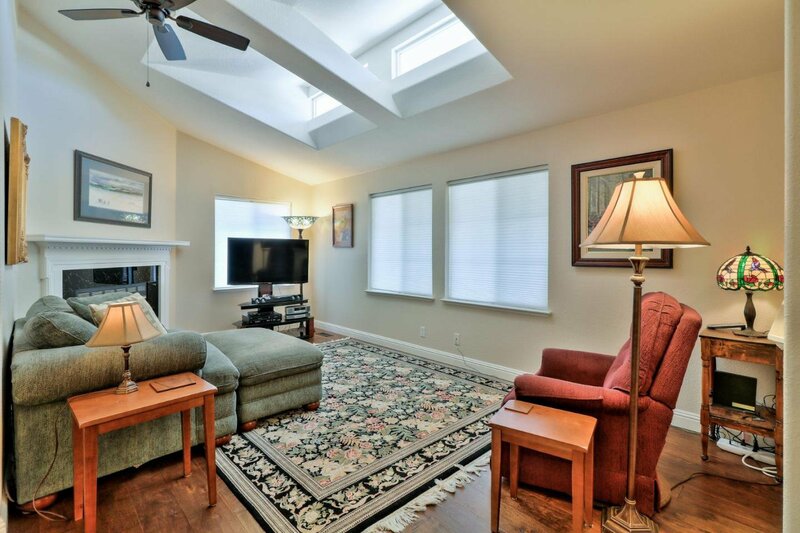 Luxurious molding surrounds the gas fireplace and light is abundant with clesterory windows in the living and kitchen areas. 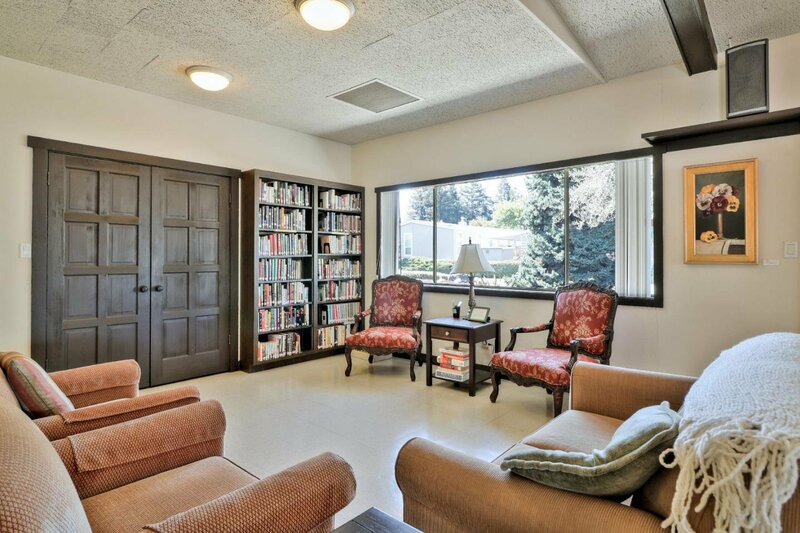 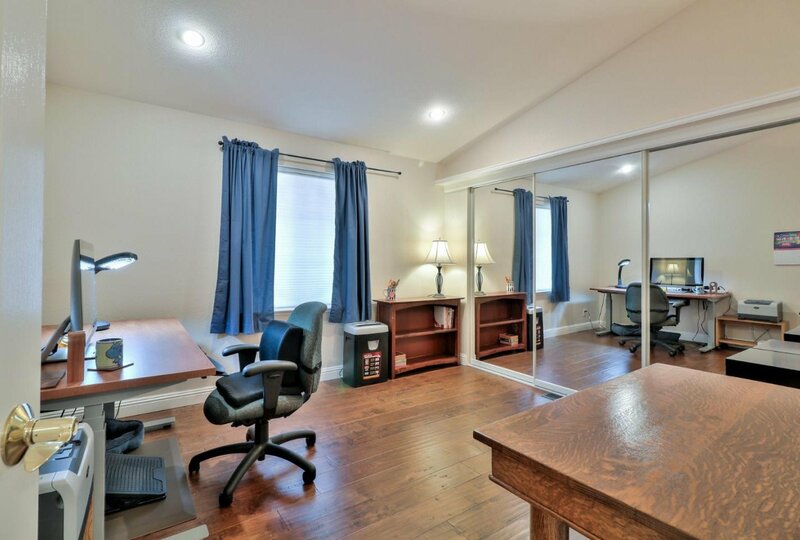 Cathedral ceilings and abundant dual pane windows provide a light airy feeling. 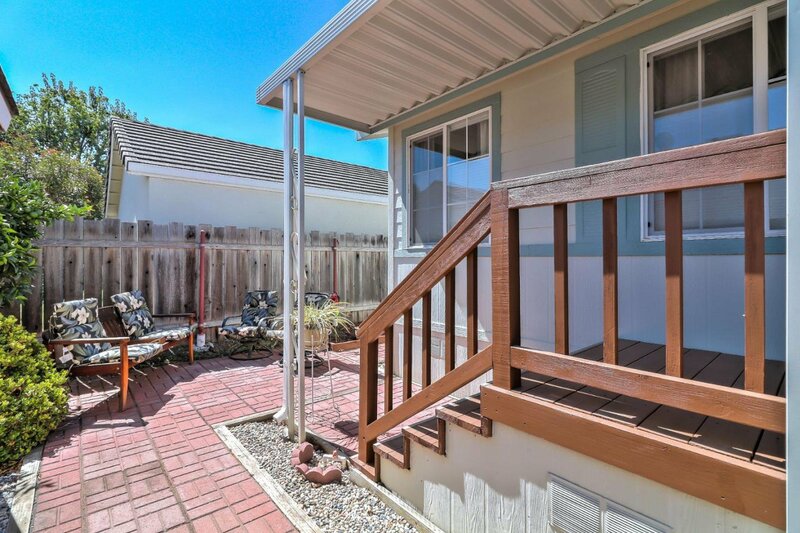 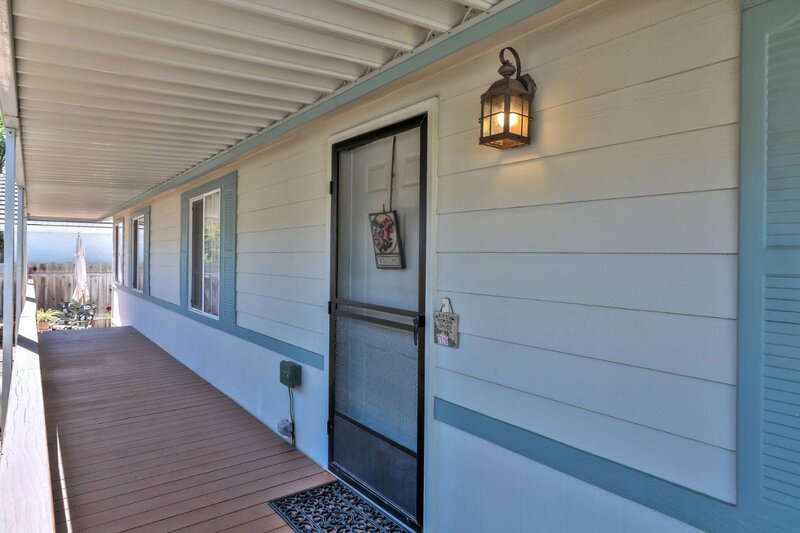 Outside is a large deck, patio, storage shed and wheelchair lift. 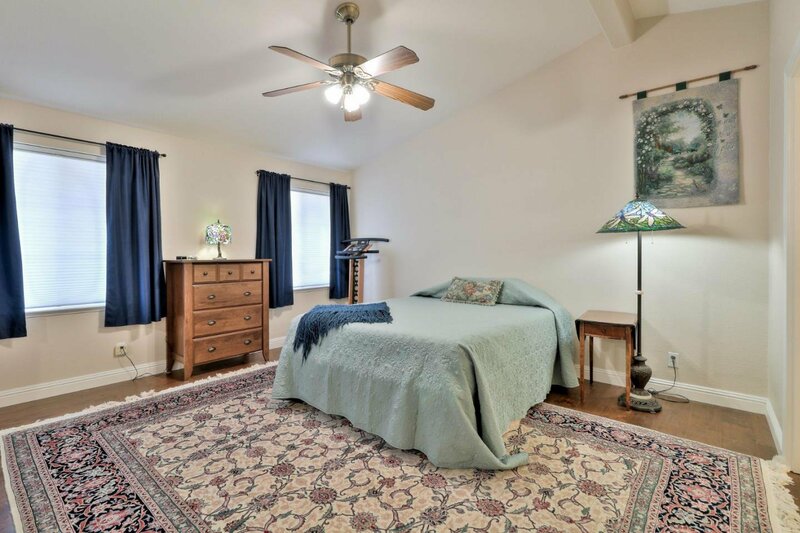 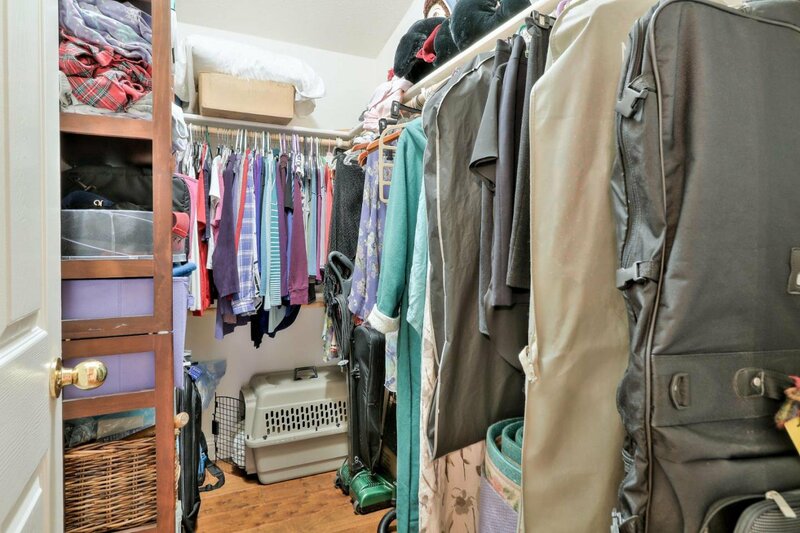 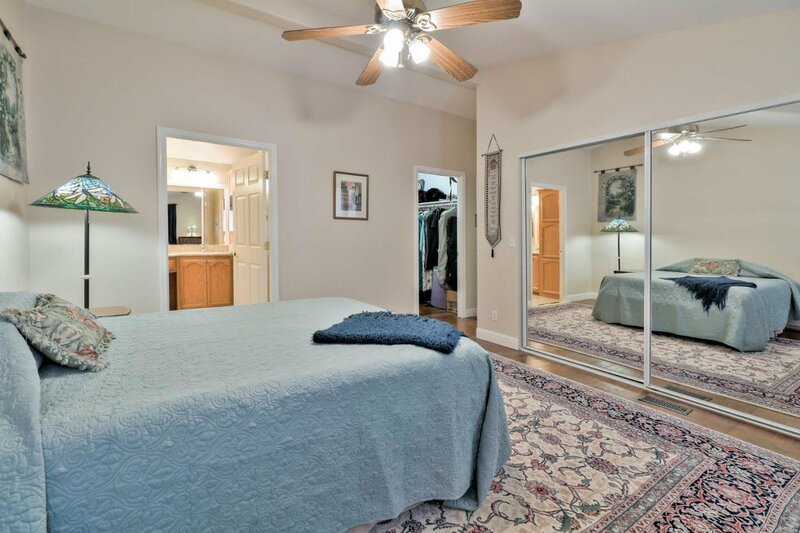 The very large second bedroom has a wall-to-wall closet with mirrored doors and the master bedroom not only has a walk in closet, but a wall to wall closet with mirrored doors. 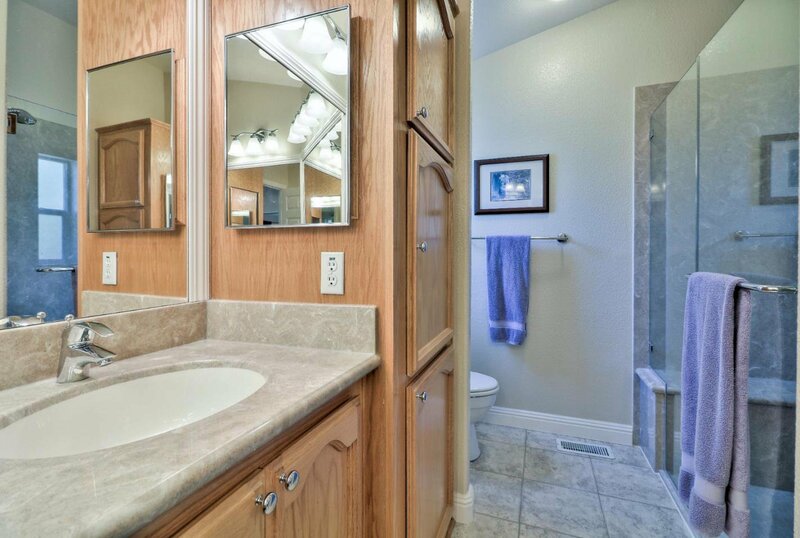 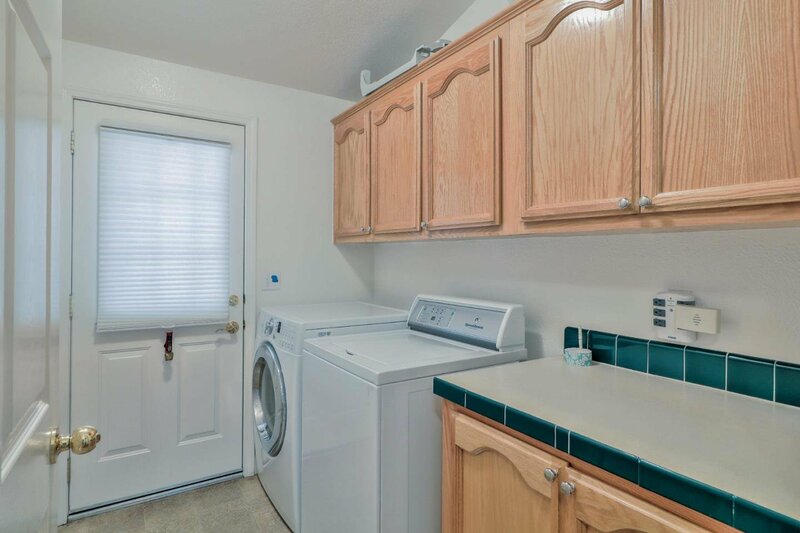 The utility has a closet, loads of cabinets, & a dryer (washer not included). 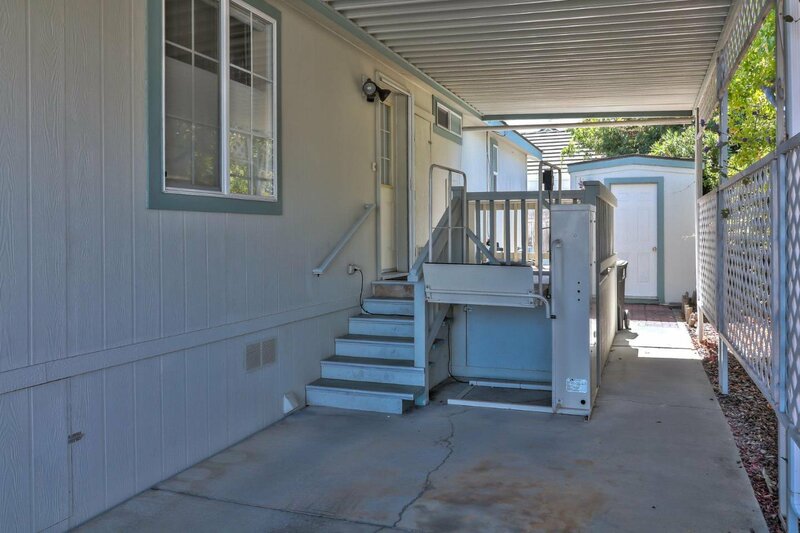 The carport door leads to a wheelchair lift that can be moved or removed completely. 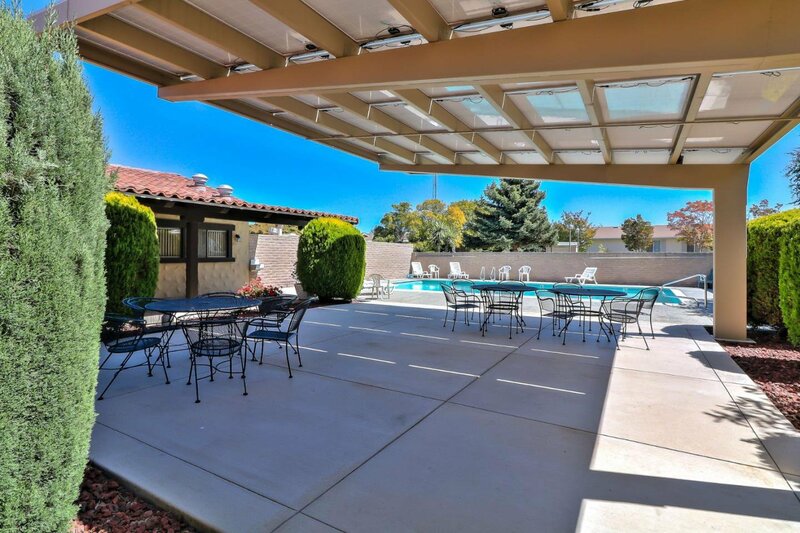 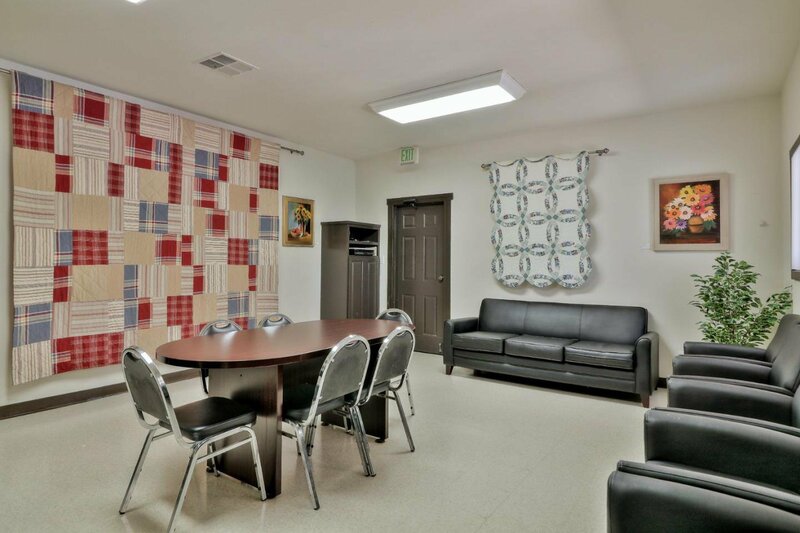 The community features a clubhouse, activities, seasonal heated pool, sauna, car wash & game court. 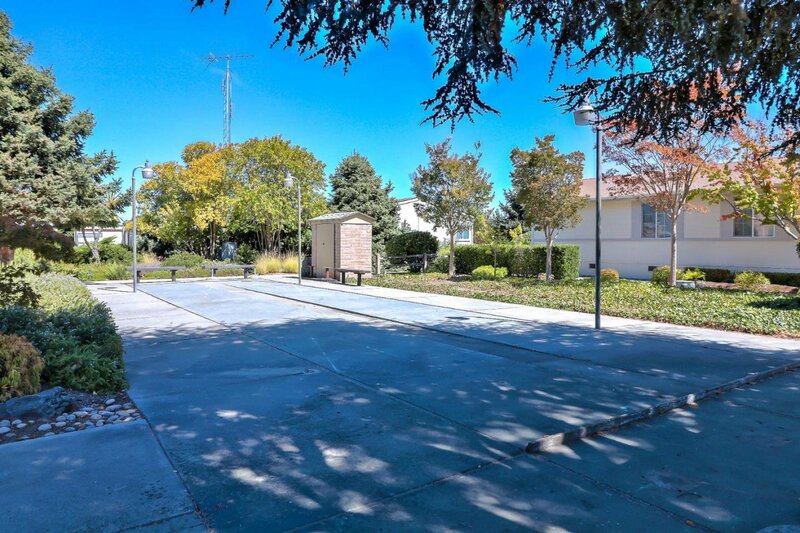 Walk to Sylvan park & the community bus. 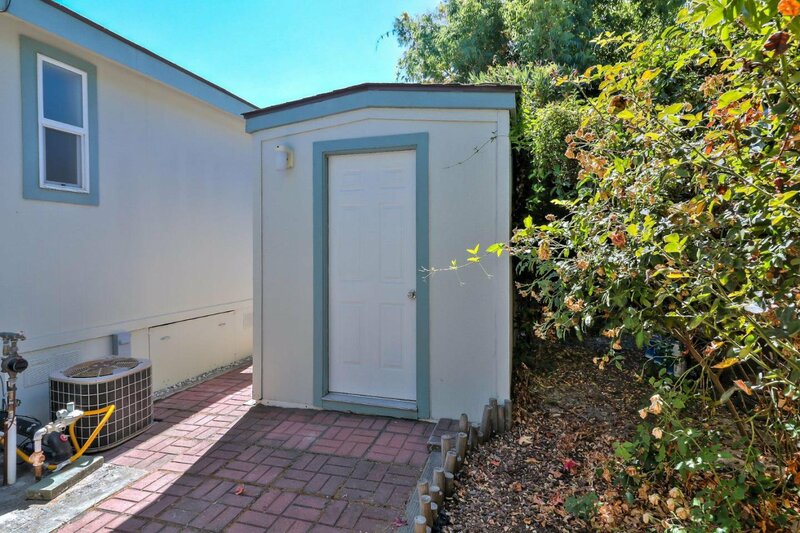 Fantastic location by 85,101, 237 & CalTrain!